Ramen is a staple in Japan, but did you know that so are soba and udon noodles? Their soups may not be as rich as ramen, but there is a warmness and gentleness to their taste. 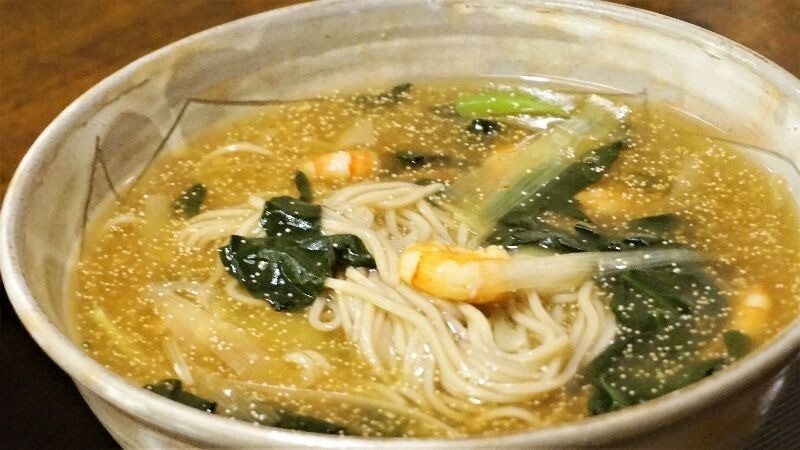 The soup in these noodle dishes is often made with kombu seaweed, and it has a strong umami-like sweetness to it, and as you can probably guess, they’re very popular dishes in Japan. The (often handmade) noodles are chewy and a lot of skill goes into preparing them, and with every bite, you can enjoy the fragrant taste of wheat or buckwheat. It’s so good it’s hard to put the chopsticks down! There are many great, popular noodle restaurants in Kyoto, so let’s take look at their hot noodle offering for this winter! Close to Heian Shrine you can find the extremely popular udon restaurant Yamamoto Menzou, which is popular among both tourists and locals alike because it offers an irresistibly good bowl of noodles. With one slurp of their soup, you’ll be addicted. In the picture, you can see their specialty, Red Menzo Special With Flavored Oil. It’s a bit spicy, and when eaten together with the egg, the taste gets a bit milder, and makes it just the perfect thing to have on a cold winter’s day! 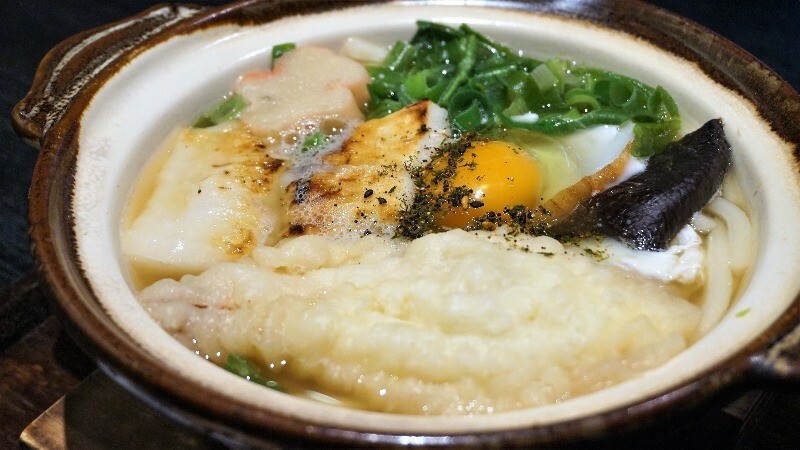 Close to Nishiki Market is a noodle place called Fumiya, which is famous for its hotpot noodles, which are carefully made from meticulously chosen ingredients. So, take a seat, and enjoy the great taste of Fumiya’s noodles. You get a big portion of them, and the hotpot noodles even include mochi, mushrooms, and tempura. The dish is brought to you with the lid on, so after you take it off, you’re surrounded by the warm air and nice smell of dashi coming from the noodles. Could there be anything better to have on a cold winter’s day? 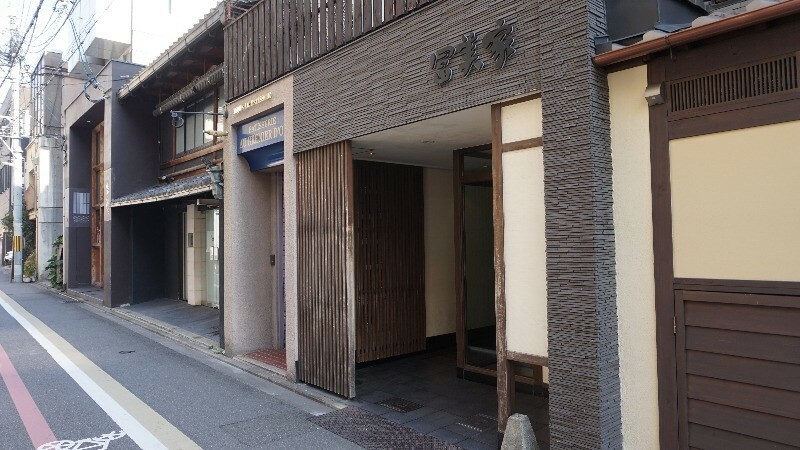 Close to Kyoto International Manga Museum, you can find Honke Owariya Honten, which has already been in the soba noodle business for over 550 years. They make their noodles fresh every day by hand with buckwheat from Hokkaido, so the noodles have a nice buckwheaty taste to them and just the right amount of chewiness. 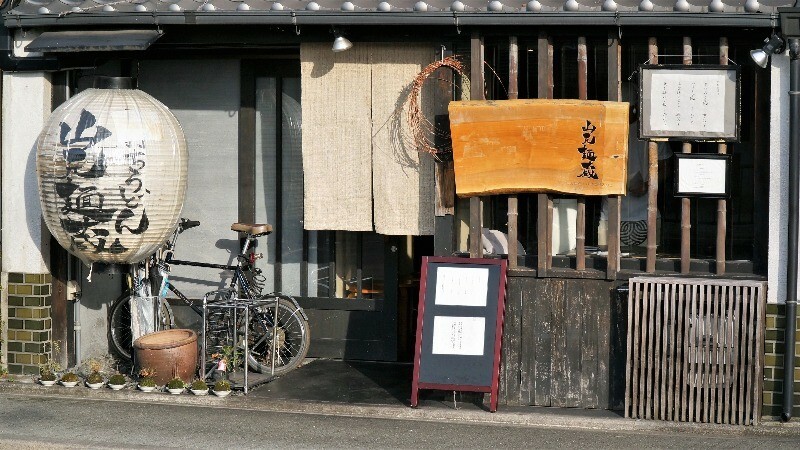 The soup is made with the famous water of Kyoto and kombu seaweed, and it’s one reason why this restaurant is so popular. In the picture, you can see a portion of noodles with tempura, which you can also dip into the soup to enjoy a different taste sensation. 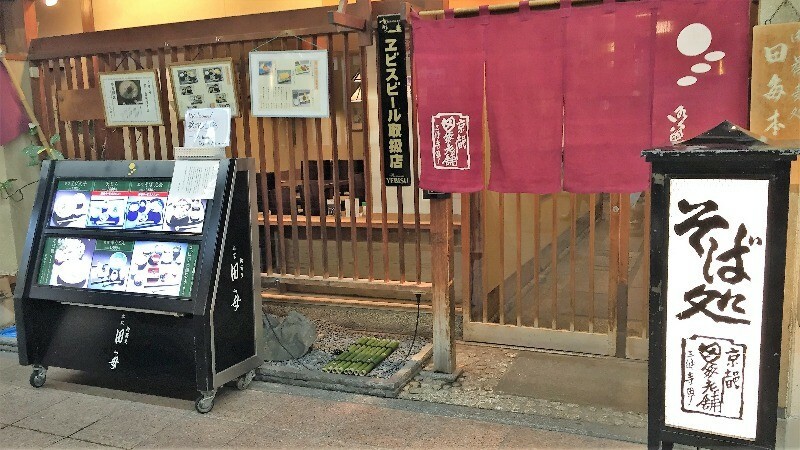 In the busy shopping street of Sanjo, you can find Honke Tagoto Sanjo-Teramachi main store, that offers chewy soba noodles that the locals love. 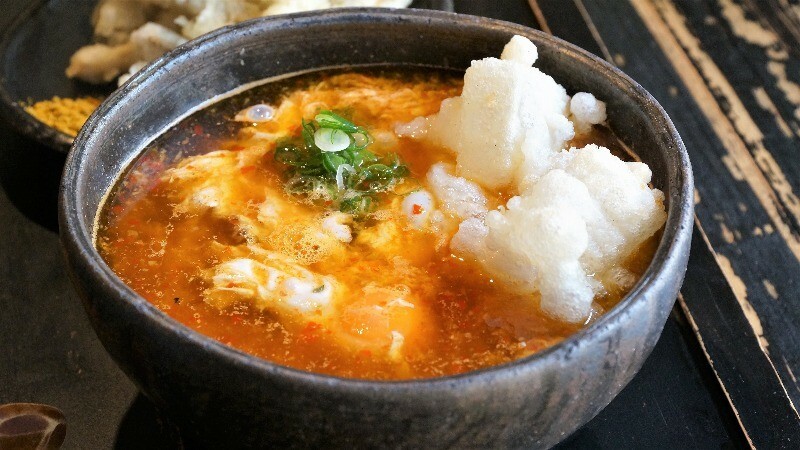 One of their most popular dishes is this, Ebi-taiko, that offers you a taste-sensation with its combination of shrimp and codfish roe, so for those who like something hot and spicy, this is the noodle dish to have! 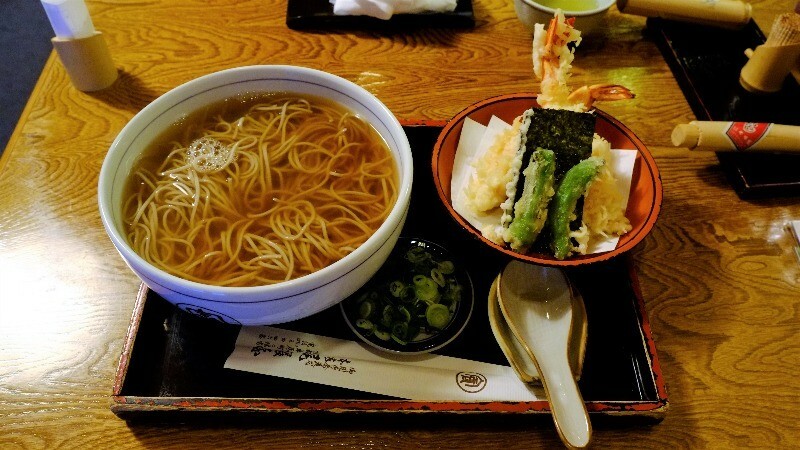 Winters in Kyoto are so cold you’re bound to want a piping hot noodle dish to warm you up and keep hunger at bay. 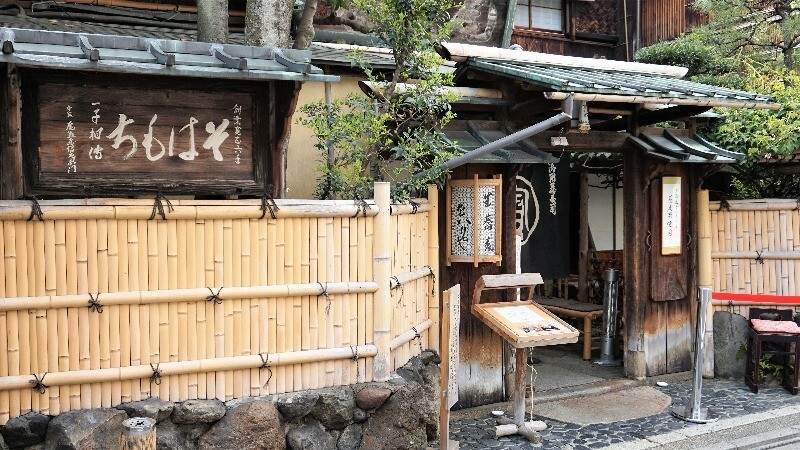 These four restaurants are famous in Kyoto and offer great cuisine, so even if you like noodles a little bit, I hope you will go to them (and maybe line up too) and enjoy their hot noodle dishes!